Most major cities in India are known for their innovative theme cafes and restaurants where everything- from the architecture, to the interior and even the menu are designed keeping in mind its theme. 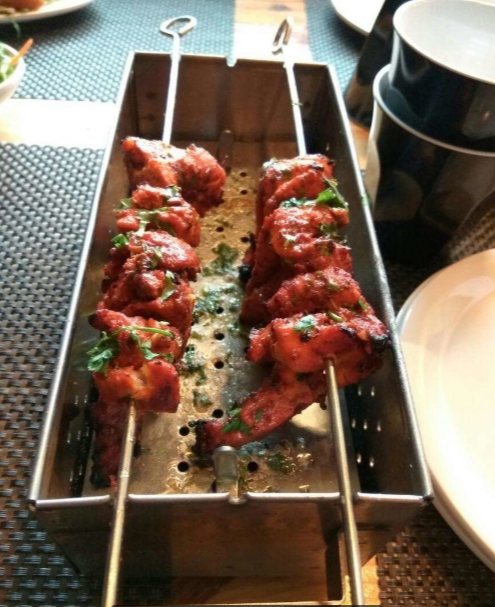 This trend is taking the Indian gastronomical industry by storm across cities like Delhi, Jaipur, Mumbai, Chandigarh, Chennai, Dehradun and more. And I happened to stumble upon one such out of the box restaurant in a town which does not quite boast of its fancy cafes and eateries. Virar, a town located about 50 kilometers from Mumbai airport, is a quaint little place famous for a weekend getaway for Mumbaikars. 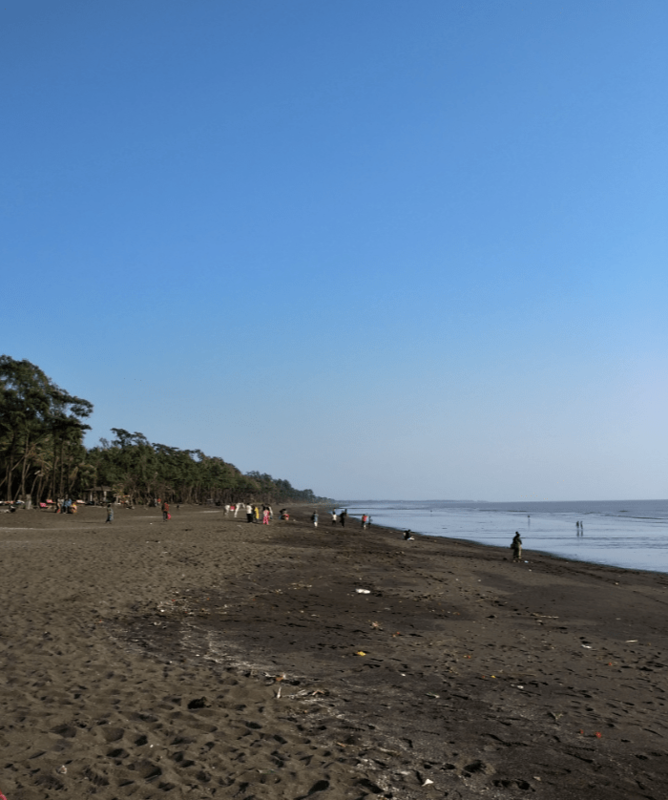 With a beach, a fort and a few resorts, Virar is almost always houseful on weekends. And situated just 4 kilometers from Virar’s Arnala Beach, is The Bunker themed in accordance with the olivegreener brigade. The first thing you see is an impressively designed front door with its name written on the wall in olive green against a camo background with bullet marks to give it an authentic touch! The staff greets you with a “Jai Hind” and suddenly an air of the army cantonment rushes past you. Having grown up as what they call a ‘fauji brat’, this moment was especially nostalgic for me. As soon as you enter, you spot several wall decorations carefully designed to keep in mind the theme of the restaurant. Even the individual eating booths make you feel as if you’re sitting inside a legitimate bunker. What I especially loved was their attention to detail- even the cutlery stand was in the shape of a soldier’s helmet! 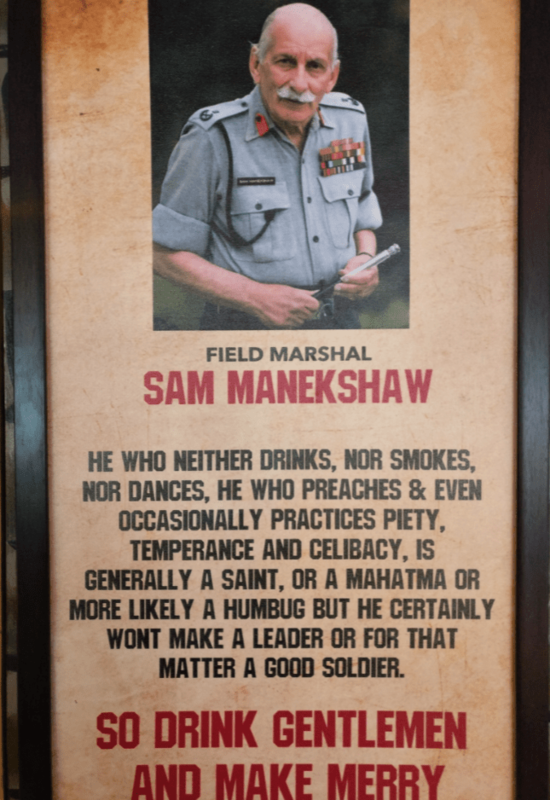 The walls are rest adorned with evergreen quotes, and one by Field Marshal Sam Manekshaw was my personal favourite. Before I get to the food, I would like to point one last thing, lauding the people of the restaurant for their foresight. 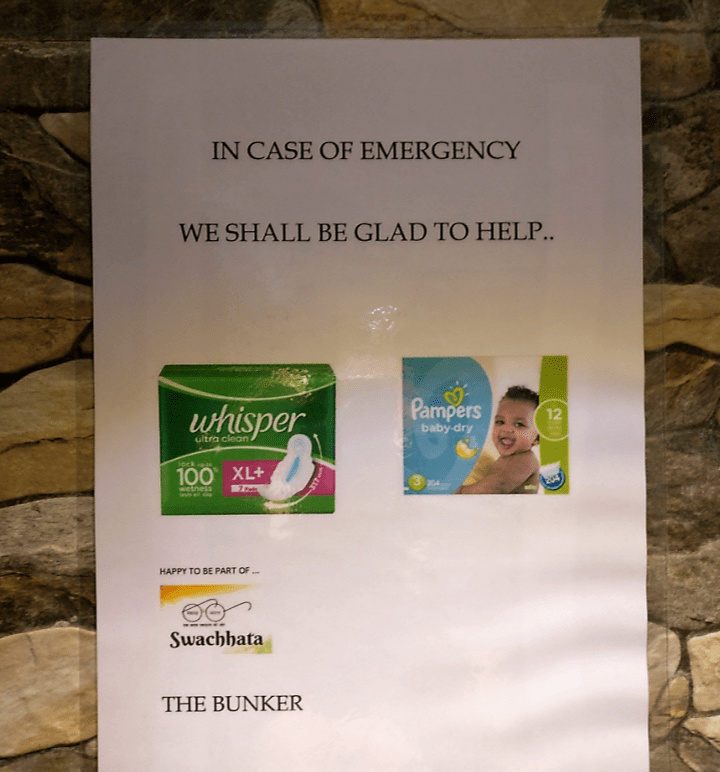 What I saw upon entering the ladies’ restroom was something I hadn’t ever seen elsewhere- a poster offering baby diapers and sanitary napkins in case of an emergency. Their sensitivity to detail really made me love the place, even before the food appeared! Needless to mention, their menu also matches the entire theme of the restaurant and also offers a great variety for vegetarians- something that is becoming increasingly hard to find. Funnily as a meat lover, I enjoyed a few of their vegetarian options more than their non vegetarian counterparts, especially the Dahi ke Sholey. The mix of cheese, potatoes, corn and capsicum was to die for! Other great vegetarian starters included paneer salt and pepper, and paneer mushroom chilly, paired with their schezwan chutney made in house. 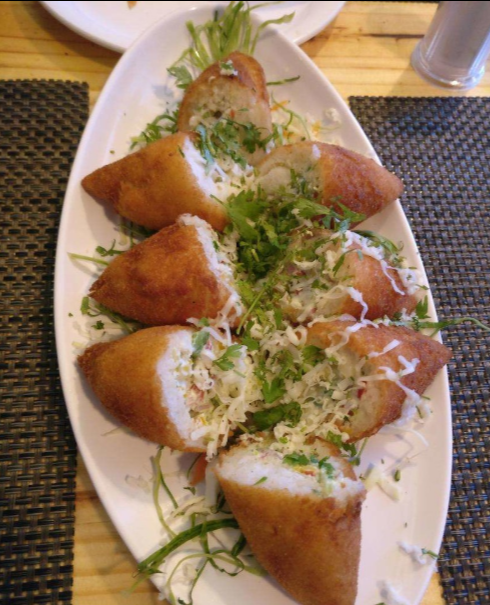 As for the non vegetarian starters, my favourites were the chilly fried prawns sourced fresh from the sea, and their signature dish, the chicken koliwada. Flavoured very differently from what I’ve ever had before, I loved it’s tender smokey texture. Another very different yet common sounding food I tried was their cheese garlic naan which was essentially naan but tasted almost like garlic bread. Such heaven! That, paired with The Bunker special chicken was a meal of my dreams. The afternoon ended with some fresh paan and wholesome conversations about their respect for our protectors. The conception of The Bunker came about with the owners’ friends joining the Navy and the Army. And while Mr. Pawar wanted to be a part of this force himself, he could not join and then decided to put his experience in the hospitality industry to good use, and open a warm space with delicious food, and a gentle reminder- that not everybody can join the forces, but everybody can respect the tough lives our men and women live selflessly in extreme temperatures, with little to no appreciation. I am yet to come across another space like this that is not just another capitalistic stunt, but is a creative brainchild of a cause very near and dear to its parent. We love transparency! This is a sponsored post by Club Ten Pine Lodge, Mukteshwar. However, the views expressed in this post are truly my own.